President Rodrigo Duterte immediately asked for bread and coffee after he arrived at Tuguegarao City to visit the place hit by Typhoon Ompong. According to the source, the president has not eaten his meal yet before going to the affected areas. Duterte led the monitoring of the victims of Typhoon Ompong. But Before he landed, he did firstan aeriall inspection together with Special Assistant to President Christopher “Bong” Go. 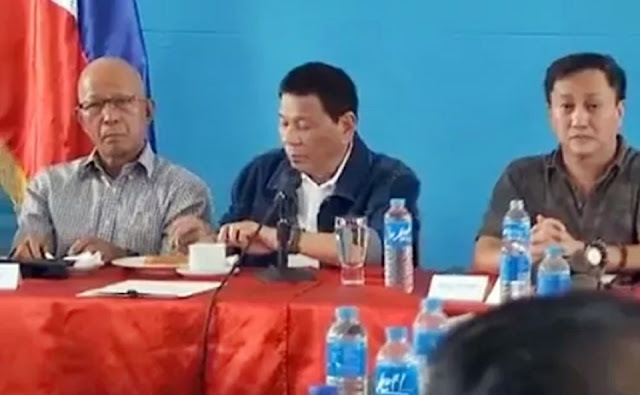 In the picture, Duterte is eating on the table while in a press conference is going on.